Here Christ is on the cross. 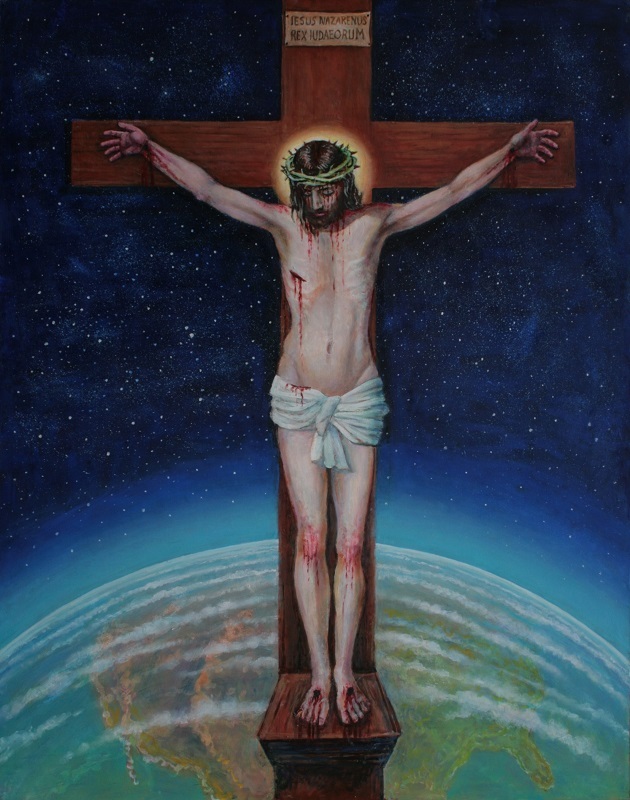 His passion and death have finally been accomplished, and he has redeemed the whole earth. The necessity for Christ's suffering and death is one of the most profound mysteries in the world.